A new report by GoxDox, allegedly shows that Mt.Gox trustee Nobuaki Kobayashi dumped bitcoin on cryptocurrency exchanges despite maintaining claims to the contrary. Leaked documents presented in the report point to a massive Bitcoin dump to the tune of $312 million. 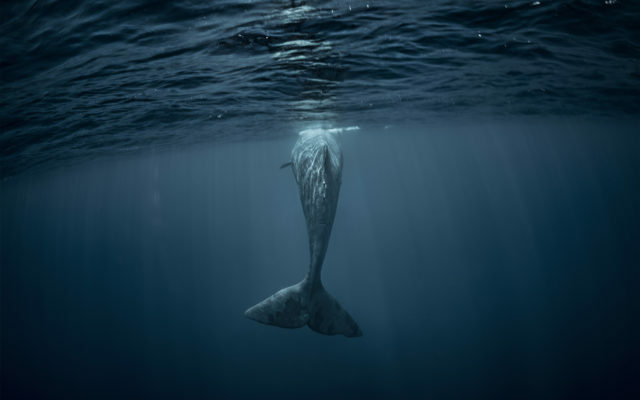 According to GoxDox, the Tokyo Bitcoin whale ignored the advice of Kraken CEO, Jesse Powell, on the modalities for the Mt.Gox bitcoin sale. At the time, there were fears of what a massive selloff could do to the stability of the market. Rather than heed the advice of “experts and stakeholders,” GoxDox alleges that the Mt.Gox trustee decided to go with Japanese Bitcoin exchange platform, BitPoint. 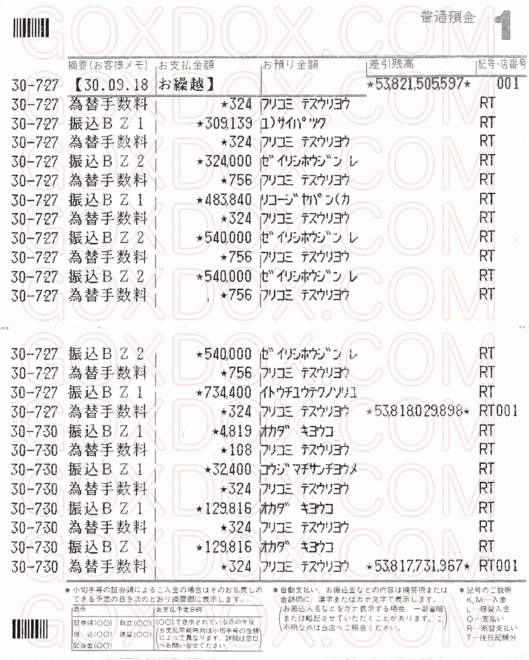 As proof, GoxDox also revealed payments made by BitPoint in Japanese Yen to the Mt.Gox Estate from February 2018 to June 2018. Back in March 2017, Bitcoinist reported on the sale of $400 million worth of Bitcoin and Bitcoin Cash by Kobayashi. At the time, the trustee revealed the sale occurred between December 2017 and February 2018. I sold BTC and BCC from December 2017 to February 2018 with the cooperation of a cryptocurrency exchange in light of the market price at the time of the sale. Following consultation with cryptocurrency experts, I sold BTC and BCC, not by an ordinary sale through the BTC/BCC exchange, but in a manner that would avoid affecting the market price, while ensuring the security of the transaction to the extent possible. The method of sale of BTC and BCC was approved by the court as well. Unfortunately, the report doesn’t show any payment records before February 23, 2018. But the next round of payments commenced at the start of May 2018. Oddly enough, Kobayashi moved 8,200 BTC from the Estate’s cold wallet, also at the beginning of May 2018. The consistent stream of JPY payments from BitPoint to the Mt.Gox Estate within the period of the known bitcoin selloffs raises a few questions. Assuming Kobayashi sold $312 million worth of BTC to BitPoint, how (and when) did the platform go about its own sale if at all? The answer might lie, like GoxDox posits, in studying the BTC price chart between May and June 2018. After accumulating significant gains in April, Bitcoin price almost broke $10,000 at the start of May, which is when BitPoint began allegedly buying from Kobayashi. However, from that point onwards, the price began a steep fall, setting a new 2018 low at around $5,800 by the end of June. 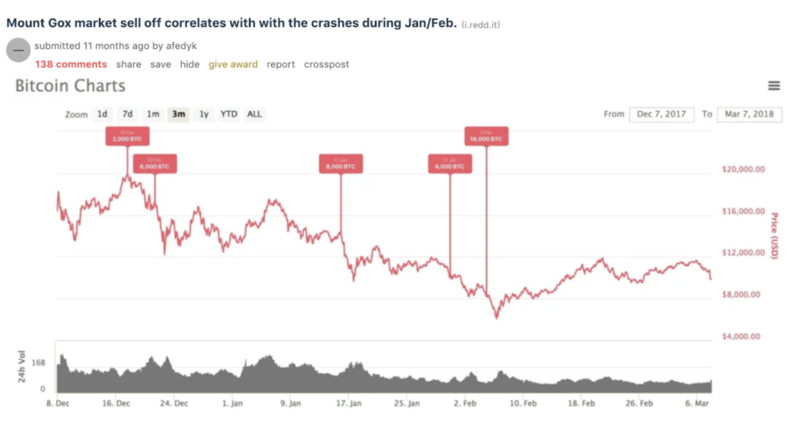 Therefore, GoxDox suggests that BitPoint promptly dumped BTC on exchanges pushing price lower in mid-2018. In late January 2017, we set up a special window (*) for large OTC transactions, respond to large trading demand, and advance the expansion of covered business partners and improve liquidity in virtual currency transactions. Do you think Kobayashi sold to BitPoint who then sold BTC immediately on exchanges? Let us know your thoughts below! The post Mt. Gox Bitcoin Dump Killed Last Summer’s Price Rally, New Report Suggests appeared first on Bitcoinist.com.